Hose reel attachment kit for HD petrol machines 26370020 https://www.kaercher.com/ae/accessory/hose-reel-attachment-kit-for-hd-petrol-machines-26370020.html Hose reel attachment kit for installation on the machine. For safe and tidy storage of high-pressure hoses (with connection hose to machine HP outlet). Rotatable under pressure with connection 22 x 1.5. Hose reel attachment kit for installation on the machine. For safe and tidy storage of high-pressure hoses (with connection hose to machine HP outlet). Rotatable under pressure with connection 22 x 1.5. 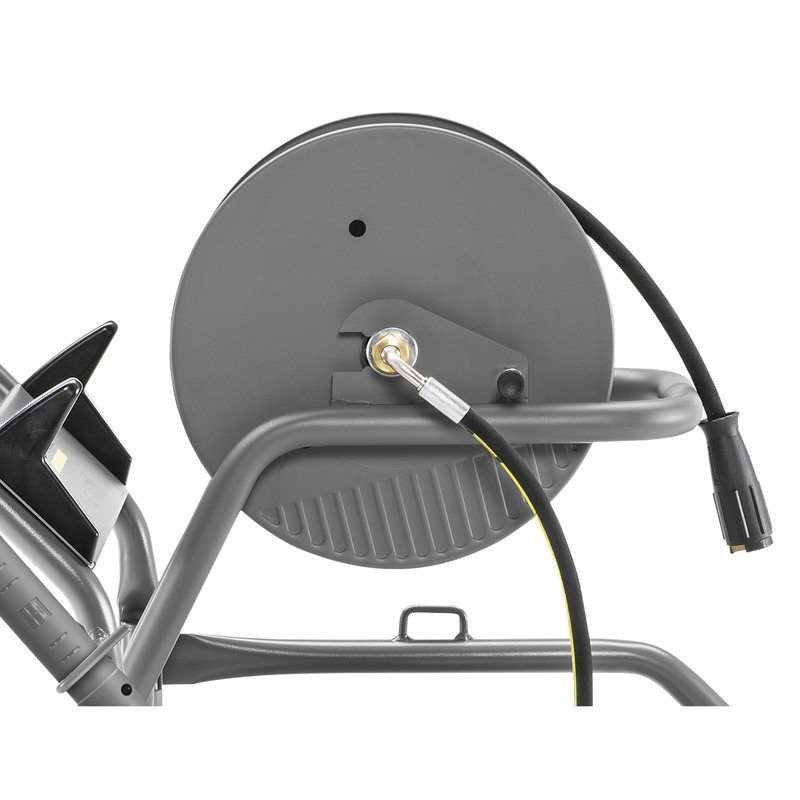 Hose reel kit for mounting on unit. The perfect solution for safe and space-saving high-pressure hose storage. Connects to high-pressure cleaner. Also rotates under pressure. Connector: 22 x 1.5.